For years and years many of us went to the tap to drink water without ever thinking about what could possibly be lurking there. Although it is reassuring that most water companies have taken steps to make sure the water coming into our homes is clean enough and safe for drinking, those same companies allowed unclean water to be piped there in the first place. 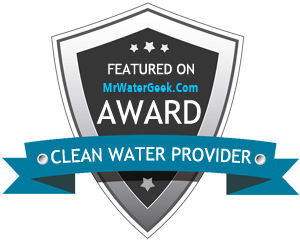 Nowadays, in most American cities, before tap water is pushed through the pipes to homes, schools, hospitals, and restaurants, the public utility company processes the water to remove harmful contaminants. The questionable contents of municipal tap water have been well established, leading millions of Americans to switch their drinking and cooking water to trustworthy filtered water. Purchasing bulk quantities of bottled water can be inconvenient and the option of using filtered water delivery services has quickly gained popularity, but with our increasingly hectic schedules many families are looking for a more permanent in home solution. Reverse osmosis systems for your Colorado home are cutting edge water filtration systems that provide clean, great tasting water for all your cooking and drinking needs!